We make use of Jenkins to schedule various test executions. Today, I was thinking I could simply create a custom hub that would host the Jenkins site within an IFRAME within the hub in our VSTS Test account. However, quickly testing this idea out seems to show that I can't do that. Possibly due to some CORS limitations? Is it possible to host an IFRAME in a custom hub in VSTS showing content from outside the VSTS account? If so, does someone have an example? In other words: would there be any way to host an external page (in this case, a page of Jenkins) within the VSTS? You can imagine a lot of scenarios where this would be useful: Show builds of Jenkins, Sonar code analysis, SharePoint documentation. All straight into the VSTS Web interface. Don ' t allow iframing sites because you can use that for clickjacking. Huh? I mean that sites do not allow more that make use of IFRAME? Everything to do with that of clickjacking? Clickjacking is a technique used by malicious websites to trick users and force them to click on pages that they didn't want to. It's as if the malefactor was "hijacking" users clicks, redirecting them to a legitimate site to another malicious. Hence the name ("click hijacking"). 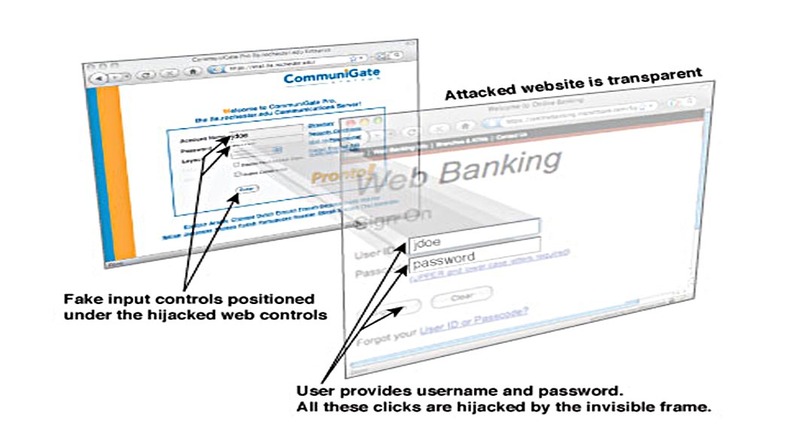 Several sites have been victims of clickjacking in the past, such as Twitter and Facebook. Even the Flash Player had a hard time by using clickjacking techniques. As the attack is based on the use of a transparent IFRAME containing a page of a legitimate site, those same sites could ask for browsers that were not open in an IFRAME. This way – preventing the opening of the page in an IFRAME-would be protected against this type of attack. Then came the HTTP header X-Frame-Options. You want to see how it works? Then create an HTML page with the code below. IE: If you want to embed a page from any Web site or service that limits the iframing through tag X-Frame-Options, so it's in the dice. It's not going to work. This is the most obvious solution, but also the most complicated. That's because she typically involves changing the source code of the original application or, at least, some setting on the Web server (Apache or IIS) that is serving the application. Another alternative is: instead of an IFRAME, pure and simple, is to use the load() method of jQuery. However, to load a page hosted on another site, you must first configure the permissions of CORS – that come with their own share of complication. The truth is that there's no easy solution. The risk of clickjacking has made the use of IFRAME something overly complicated and that tends to fall more and more in disuse. And you, dear reader? Have you come across this kind of situation? Do you have any idea/suggestion on how to deal with this? Leave your comment! Previous Previous post: How is licensed Visual Studio build service Team Services?